Daniel Thiriez, founder of Brasserie Thiriez, has been brewing in the small French village of Esquelbecq for 20 years. He moved into a defunct brewery in 1996, returning brewing to the building for the first time in 5o years. Today, he’s renowned as one of the best brewers of modern French Biere de Garde bieres. I had the pleasure of sitting down with Daniel this last September to discuss the history of beer in the region as well as the history of his brewery. It was a wonderful opportunity to talk to one of the great personalities of French beer. Of course, we sampled some of his wares while we chatted. 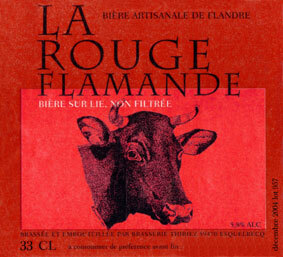 La Rouge Flamande was first created in 1999 at the request of a farm association. The group of farmers was dedicating a new statue to the region’s famed cattle breed: La Rouge Flamande (The Flemish Red). 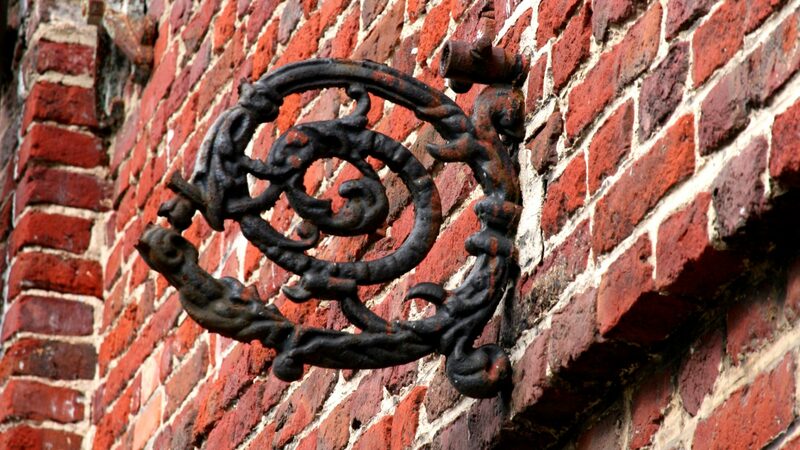 This region of France is often called French Flanders and culturally identifies with the Flemish in Belgium. The regional memory is long since they haven’t been united with their northern cousins since Louis XIV took over the region in the 17th Century. This is also why there is such a strong brewing tradition in this region of France. The beers also are more aligned with those of Belgium than other regions of France.The beer Daniel Thiriez designed is ideal for the regions food, including: Carbonade Flamande (Flemish beef stew) and the local cheese, fromage de Bergues. Appearance: Brown, tan head, good retention. Overall Impression: Velvety and rich, La Flamande Rouge packs a lot of flavor for a beer at 5.8% ABV. It’s balanced with a surprisingly full mouthfeel. Availability: This beer is only available in France, although other beers are imported into the US by Shelton Brothers Inc. I acquired this bottle at the brewery.